Money can be designed to enhance community, integrity, equity and sustainability - or it can do the opposite. 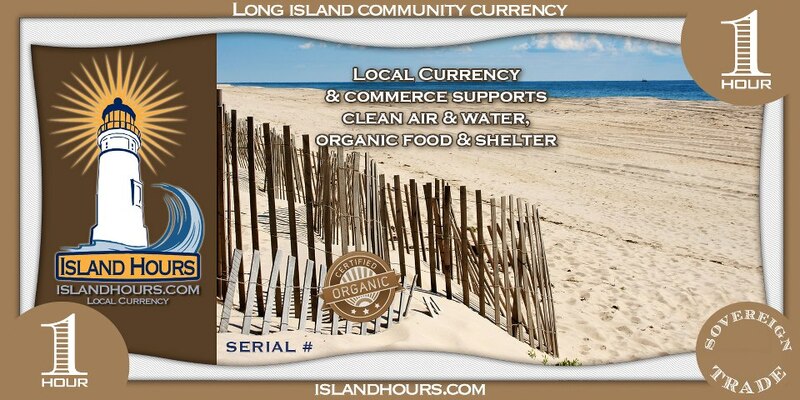 The money-makers in this story created various kinds of local currency- and you can, too! "It is lunch time in Ithaca in upstate New York, and the local currency is rolling off the presses. Printer David St. George has not been arrested, because as long as these notes are not purporting to be dollars, the currency is legal. These are Ithaca Hours, and each Hour is worth $10. In Ithaca, like many other smaller cities, one of the key problems is how to make sure local earnings keep circulating locally. They are increasingly siphoned away by distant utilities and big corporations, making the local economy increasingly dependent: the massive chain Wal-Mart, for example, sends all their takings from all their stores to Arkansas overnight. This is an environmental problem too. A dependent local economy with too little cash is unable to produce and grow local goods, and it is replaced by food trucked in from what may be thousands of miles away. People living on the economic margins are even more marginalized. Paul Glover organized Ithaca Hours to keep local money circulating locally, to encourage local farmers and businesses and to provide an income for these people. And it seems to be working. Hours are accepted in 300 local businesses and have the enthusiastic backing of the chamber of commerce and the mayor, who accepts them for meals in his town center restaurant. One local bank pays staff partly in Hours, and you can pay your bank charges with them, too. "We wouldn't eat out if it weren't for Ithaca Hours," said the divorced mother of two. "It feels terribly good. You see the money's value coming around again and again." Glover calls this the "community magic act": they print their own currency and somehow it makes everybody better off. "Hours is money with a boundary around it, so it stays in our community. It doesn't come to town, shake a few hands and then wander out across the globe. It reinforces trading locally." Glover estimates that the 5,700 Hours in circulation have generated local transactions valued so far at about $1.5 million. This is how it works. Every two months, Glover publishes his Ithaca Money newspaper and issues new currency to the advertisers in return for their support. More is issued to local community groups, and some in interest-free loans - which are published in the paper to encourage repayment. The latest newspaper, No. 29, includes everything from accounting to zipper repair, and a great deal of the basic necessities like food. David Boyle is editor of New Economics.